Gloria Nelund co-founded TriLinc after a rewarding career in the international asset management industry. She is responsible for leading the Company’s high-level strategy and directing its growth since its founding in 2008. 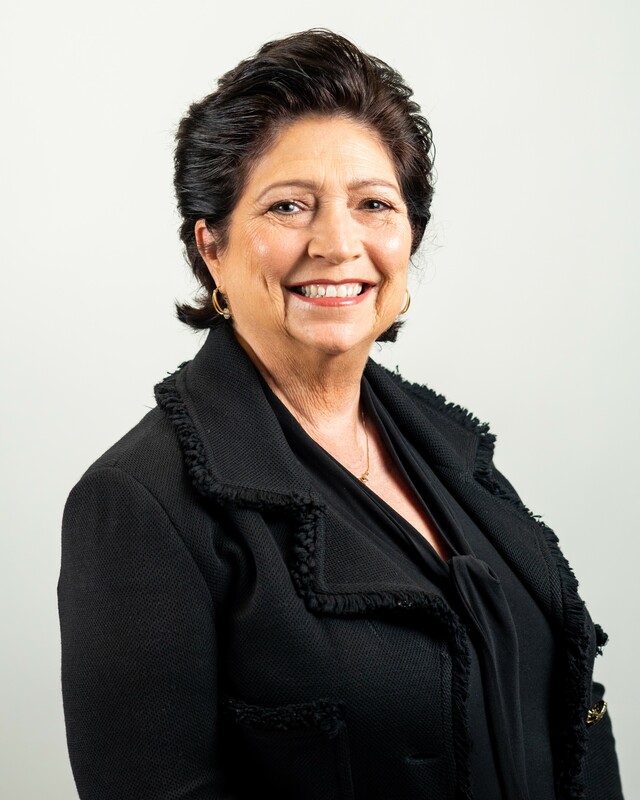 Gloria brings to TriLinc Global more than 30 years of experience in executive management of multi-billion dollar financial institutions, as well as deep expertise in the creation, sales and distribution of investment products. Most recently, Gloria was the CEO of the U.S. Private Wealth Management Division at Deutsche Bank, the world’s fifth largest financial institution. In this capacity, she held fiduciary responsibility for more than $50 billion in investment assets, including more than $20 billion in emerging markets and credit instruments. In addition to her role as divisional CEO, Gloria served as the only female member of the Global Private Wealth Management Executive Committee. Gloria has been a pioneer in the development of social impact products. She was instrumental in making Deutsche Bank a leading institutional supporter of microcredit, creating multiple programs to help Private Wealth Management clients learn about and invest in the sector. Gloria also served on the Board of the Deutsche Bank Americas Community Development Group, with responsibility for providing loans, investments and grants to targeted organizations throughout the U.S. and Latin America. Gloria was also the Managing Director of Scudder Kemper Investments prior to its purchase by Deutsche Bank. While at Scudder, she supported the development and growth of one of the industry’s first socially-responsible investment (SRI) products. Prior to her tenure at Deutsche Bank, Gloria spent 16 years as an executive at Bank of America/Security Pacific Bank, most notably as President and CEO of BofA Capital Management, Inc., an investment management subsidiary managing $35 billion in assets for both retail and institutional investors. In addition to managing fixed-income and equity mutual funds in the U.S. and internationally, Gloria’s division was responsible for managing assets on behalf of public funds, common trust funds and corporate funds. In addition to her activities with TriLinc, Gloria is an Independent Trustee of the Victory Funds, a mutual fund complex with more than $32.9 billion in assets under management. She is a life-long supporter of development-oriented philanthropic causes. She has volunteered as a teacher of at-risk youth in the Los Angeles Unified School District and the YMCA of Los Angeles. Gloria currently sits on the board of multiple not-for-profit organizations and actively supports entrepreneurship research and education. She is an active speaker and guest lecturer on Impact Investing at conferences and several top business schools, including Columbia, Georgetown, Wheaton, Kellogg, Stanford and MIT.